Joining in the list of UNESCO World Heritage City in 1985, the extraordinary natural and cultural masterpiece of Central Anatolia in Turkey,’’ Cappadocia ‘’ (Kapadokya in Turkish) dominates 40 kms area in between the districts of Avanos and Urgup located in Nevsehir. 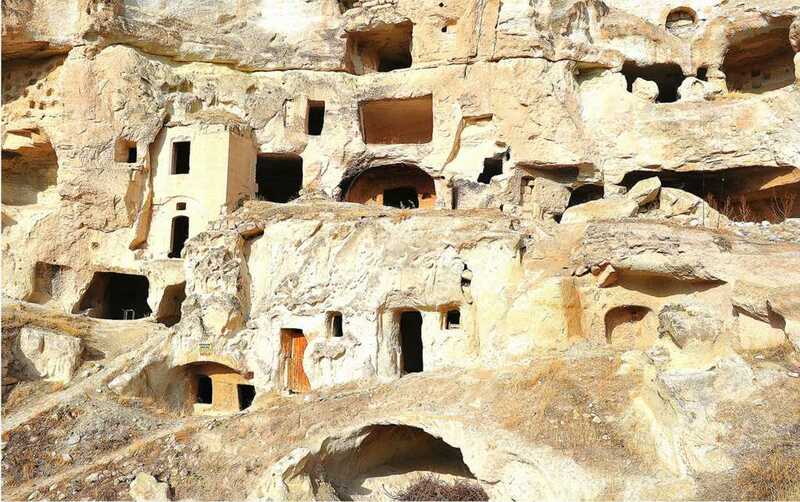 Surrogated by the towns of Kırsehir, Nigde, Aksaray and Kayseri, this mystic city, Cappadocia is famous for its unique underground cities, fairy chimneys, miraculous moonscape area, Göreme National Park, many fascinating churches and houses carved in the caves and the rocks. Also its proverbial natural structure owes to the rains and winds’ eroding to the tuffs of volcanic mountains Erciyes and Hasan; those historic eruptions blanketed this location with thick ash which created soft rock named tuff. 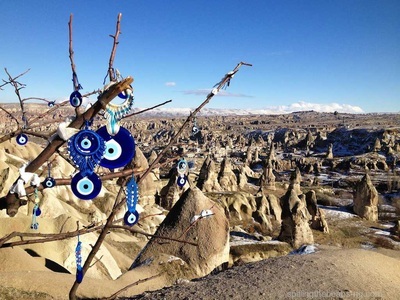 As a result of these natural events, Cappadocia has an incredible sight, a fairy tale landscape of pinnacles, canyons, hills, unusual rock formations, cones, pillars, chimneys, and mushrooms reflecting a magnificent atmosphere. 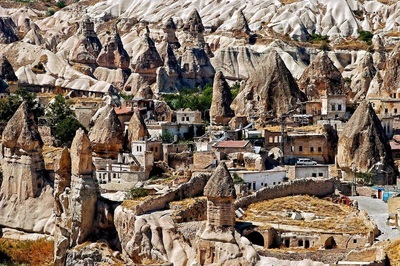 Plan your Cappadocia tour with Tour Maker Turkey. We offer unique cappadocia travel packages to ensure you have an extraordinary trip. Our deep passion for Turkey has enabled us to provide unparalleled travel services in Cappadocia and other parts of Turkey. 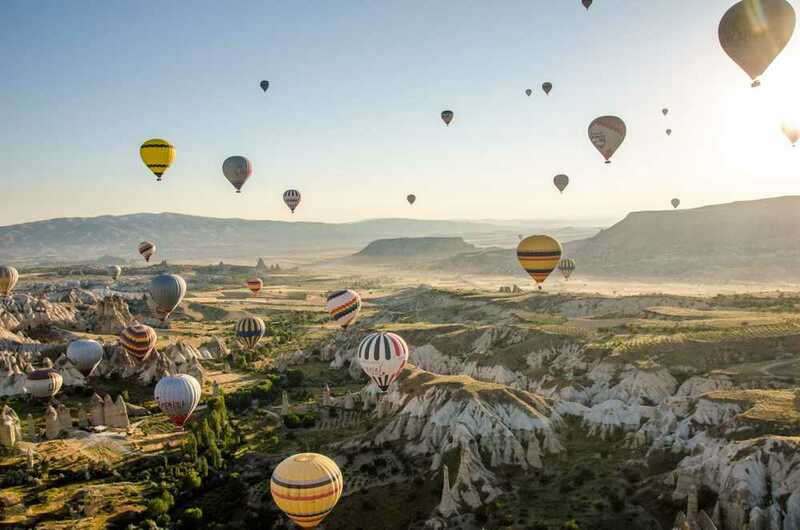 Click here to view our selection of half and full-day Cappadocia travel packages. Moreover, human beings contributed by making equally unbelievable works here. 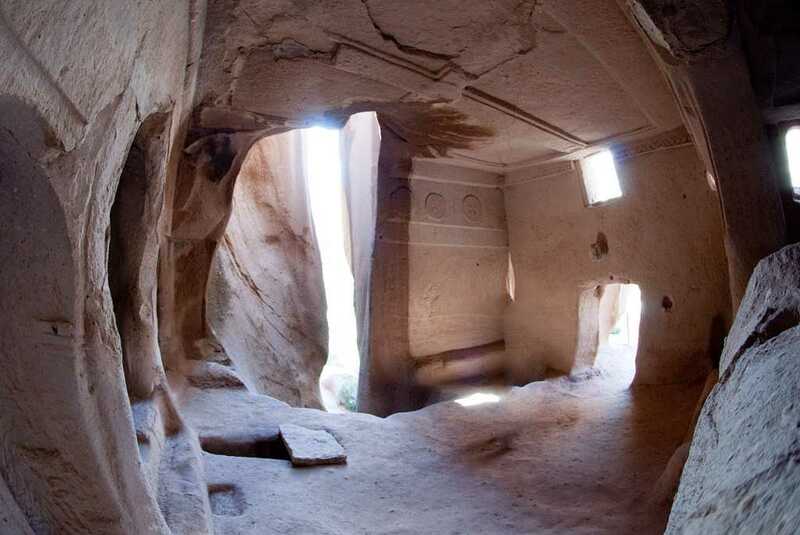 The rocky wonderland includes a network of human-made caves such as spaces of worship, living quarters, stables, and storehouses excavated into the soft stone. Except for those features, this place provides the visitors many activities and alternative tours organized especially in the summer like famous hot air balloon trip over the chimneys, trekking, mountain biking, motorbike, walking, horse riding and horse safari in order to entertain them. Because of that, today it is amongst of the main visited places for the tourists. When it is looked at the history of Cappadocia, a dreamy land, it tells us very deep and rich history. 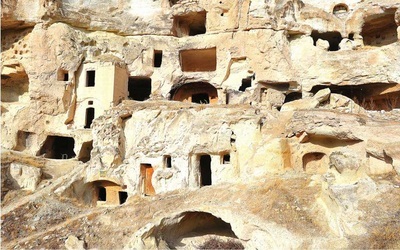 The wealth history of Cappadocia dates back to the prehistoric times. It has hosted various civilizations like Hittites, Assyrians, Phrygians, Lydians, Persians, Romans, Seljuk and Ottomans. Chronologically, at the beginning, B.C 2000’s Hittites settled in this fascinating region. They found the Great Hittites Empire. Additionally, within this period, Kültepe (also called Nesa or Kanis located around Kayseri) was the very important Trade Colony Centre. Later, in between B.C 2000 and 1800, Assyrians established their state and trading posts (a trade centre named karum).The glorious city achieved economic and politic power in this era. Well known Cappadocian tablets, trade agreements, receipts, wills, and marriage contracts were figured out in this period as a result of excavations. Until 334 BC, the Persians ruled by separating provinces called Satrap here. They named this region as Katpatuka which means ‘’the land of beautiful horses’’. In Roman period, AD 17, there was found a province, trade and military routes and urban centres and settlements. 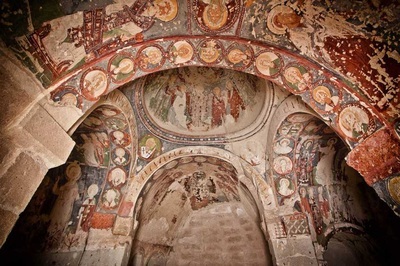 Afterwards, Christian influence in Byzantine time, the first Christian communities begun to appear in Cappadocia and many monasteries, churches, sanctuaries and other significant structures were built here. Also to protect themselves, the people established various underground spaces. As a result of Invasions belonging to Turkmenistan from Mongolia and then from Seljuks to Ottomans, the movement was finally completed. Therefore, Cappadocia became a melting pot of a diverse of ethnic groups; it reflects all the culture and religious beliefs today from past. There are found many places to must visit in Cappadocia like; Fairy Chimneys, Göreme Valley National Park and rock churches, Derinkuyu, underground cities of Kaymakli or Ozkonak, Pasabag and Zelve Valley, Avanos with its pottery and carpets, Uçhisar rock fortress, Ortahisar rock fortress, Ürgüp, Ihlara valley, Sinasos, Soganli and Hacibektas.